One of the driving goals behind the development of Beacon was to think about the meaning and story behind choices that are made in quilt design. Specifically, I created a very minimal design to help focus on the story of color in a quilt. However, as I have been working to piece my version of the quilt, another story is emerging centering around precision. You have probably noticed my tendency to lean toward accuracy and perfection in my quilting. However, quilting has really been a fantastic outlet for me creatively, and I actually purposefully try to be less structured and rigid in my piecing. In fact, I very rarely use pins when I sew seams. When a seam is really poorly aligned as a result, I will occasionally need to pull out my seam ripper, but in general, I do kind of wing it a bit when it comes to piecing accuracy. Seriously! You know I’m not a devout paper piecer (hello perfection alert! ), and I just admitted I don’t pin my seams. I sweat the details, but I have been trying to learn what “good enough” for me in quilting means. Which brings me to piecing Beacon. The sharp contrast in the colors of this quilt, and the minimal use of piecing and blocks in the design have been begging me to aim for precision in my piecing in a way that I have not felt before. I feel like I have ripped almost every seam and resewn them (sometimes multiple times) as I have been working on this quilt. And as I was doing so, I started to hear a voice in my head telling me that it was good enough and to let it go. So after a while I stopped and just sewed it all together. But every time I came back and saw how it came together, I was disappointed. So I decided to revel in the joy of making things exactly as I think they should be done, and I am trying to smash the voice in my head trying to tell me leave it be, that it is “good enough”. Because I can choose to make things exact, and it is my time to do with as I wish, and I can do what I want, darn it. And I am happy that I decided to re-sew a seam to get the orange and white beacon point centered above the piecing below it instead of leaving it offset by 1/16th of an inch. Yes! 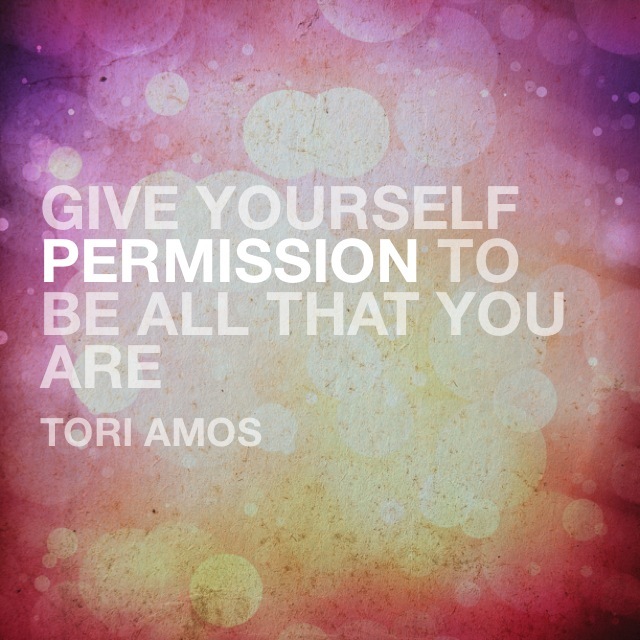 Have you given yourself permission to do something that brought you satisfaction and joy lately? Linking up with Let’s Bee Social and WIP Wednesday. Isn’t it funny how that pull goes both ways? How sometimes you have to give yourself permission to simply let it be “off” a bit and just sew it together, when other times there is such a deep satisfaction in finally–FINALLY–seeing an intersection come together perfectly after you’ve resewn it more times than you ever thought you would? And the best part is that you get to decide: which time is this? And just in case anyone else’s opinion matters, you chose beautifully, because I’m sure your precision in your Beacon quilt will make you happy forever. Sometimes, those seams just have to be ripped. I agree that in most instances I’m okay with ‘good enough’. I figure that once a quilt is quilted and washed, those tiny misalignments will never be noticed. But sometimes, as in the case of Beacon, the design is dependent on accuracy. I guess the lesson here is to do what feels right at the time. It’s good that you recognize there is a time and place for good enough and precision, and that you’ve given yourself permission to be okay with both. I’ve been struggling with the same issue, though in my professional life (I’ve learned when I can let it go and when I need to re-do a seam because it irritates me early on, luckily!). I’m learning how to be a teacher, and it’s really hard for me deciding what ‘perfection’ means for a high schooler. Their vocabulary is still growing, as are their analytical skills. Sometimes grammar is perfect, but they have a very basic understanding of the material. Other times they go in depth into a topic, but their writing is riddled with errors. I keep wondering if I’m pushing them far enough, or doing too much for them. When should their work be ‘good enough’ for me, and how exactly do I measure that? Sigh. I can so relate to everything you have written in this post! My mentor who taught me how to write patent applications said that his rule was to file when the invention was 90% done because if you waited until it was 100% done, the patent would never be filed (or it would be another 10 years). As a mechanical engineer and quilter, i can relate to the issues of striving for perfection in piecing! Its not always easy…fabric has much more stretch than metals! So, we just increase our tolerance thresholds, right? I dont use pins either but i do a fair amount f glue basting. My piecing is quite unconventional but i mostly get the results i want. I dont like to rip, so…its got to,be pretty far off, but if i do leave something, it always bothers me. I have learnd that i need to pass up those perfect points for my own sanity sometimes. I do like the Beacon block! I think many of us can relate! I rarely use pins too! The phrase ‘good enough’ makes it sound like something is subpar, when in fact in the quilting world it means ‘that is pretty damn good’!! Aiming for perfection is our goal! If it wasn’t for a good wash & dry and the crinkle effect to hide a few imperfections…I may have given up quilting all together! Yvonne I agree with you entirely. We have to find medium ground, but there are times when perfection is absolutely necessary. The trick, if one is a perfectionist at heart, is to find those right times and let the rest not drive one crazy. I think in this case you are dead on – this piece calls for it and it looks marvelous! I don’t pin as much these days either. I can understand with such high contrast any misalignment would torment you and I have unpicked seams 2 and 3 times in the past but not that often thankfully. I find if its for myself I accept a lot more but for a group project or bee blocks I will be more inclined to unpick! I am loving this quilt! Sometimes the point is precision – and then it is fine to take the time to do that. I find with minimalism, each element is very intentional and so it needs to be executed as you imagine it – precise or not, but as you intend. Some quilts just tell us what they need, whether it’s in the precision of the piecing, the colors, the quilting, or whatever. I definitely agree with you that the strong graphic contrast in Beacon calls for precision. Your result is perfect, so worth the extra effort. I am admittedly *not* a perfectionist when it comes to creativity and art! I have always felt like my skills will improve with time and experience – whether it be with piecing or quilting or whatever – and I’d rather try to make something again and improve on it, rather than spend too much time concerned about imperfections on the first one. The few times that I’ve really been concerned about perfect points – for competition or bee blocks or something – it’s taken some of the fun out of it for me! I think finding a perfection threshold that you feel comfortable with is a good thing. And it looks amazing! Sometimes I am a perfectionist, and use pins to get things to line up properly (not that they’re make everything perfect). For me finding balance is recognizing when something is worth redoing repeatedly to get the right results (like on this Beacon quilt! totally worth the extra time and effort), and when it’s okay for things to be a hot mess (like on my pythagorean spiral quilt–you know what I’m talking about! There is definitely a underlying voice in the quilting community to let “good enough” stay–and sometimes that is okay, and sometimes it goes against what the inner voice of the maker is saying, or it is just encouraging laziness. Sometimes what is “good enough” to the collective is just lowering the bar, the expectation for the group. Don’t let them bring you down! The real point is to enjoy — find satisfaction in — your work. The rest (including what anyone else thinks) does not matter. If satisfaction comes, as it does on this piece, in precision, then you need to be precise. But if you’re not having fun, then you need to try another way. Most of my quilts don’t require precision but my enjoyment would be low if they weren’t pretty good. I am pretty good. I’ve gotten a lot better over time, and that gives me a lot of pleasure. Perfect post Yvonne. I think it’s healthy for you to let go sometimes but also healthy for you to strive for perfection when you think it is necessary. I will often rip things out if they aren’t to my satisfaction but not free motion quilting…that I just accept as it comes. In my sewing room, the seam ripper is my best friend and I keep it close by at all times! Sometimes, I can live it a seam being a little off, but most times not. Great post! Sometimes a quilt just has to be spot on, and clearly this is one of those! Thank goodness you did go back and get it precise, otherwise it would have been bugging you forever more! For me, perfection is very fickle in my quilting – which is very surprising since I’m very much a perfectionist in most aspects of my life. I’m not sure why some things I’m okay with “good enough” yet other times I’ll rip something out 2-3 times. Maybe it’s because I require perfectionism in other areas of my life, it’s okay for me to let go just a bit when it comes to exploring and playing in my quilting arena. Listen to that inner voice. It won’t fail you. Sometimes I listen and I hear rip out, and other times I hear let it be. Either way, listening is what helps me achieve the balance I want and in the end leaves me very happy. Well, yes. I’m a fanatic about matching seams and points–and that’s why paper piecing is a joy for me. But. 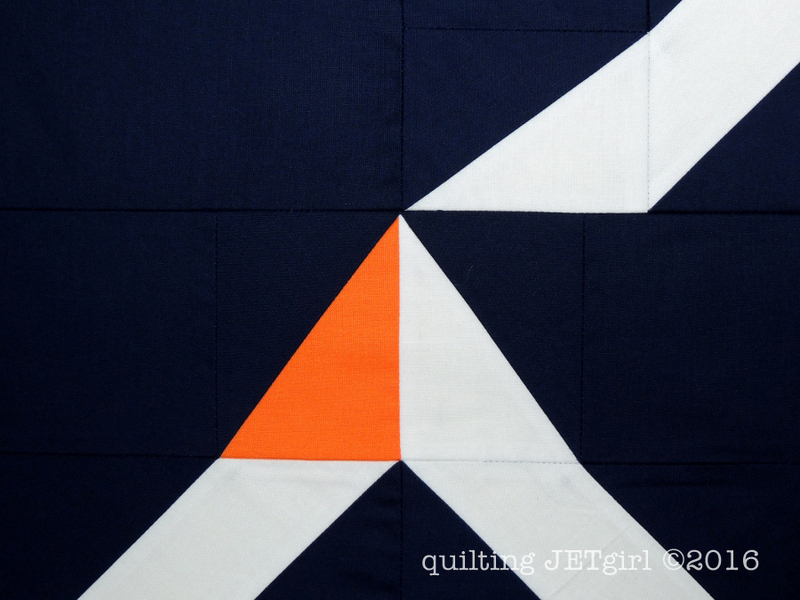 Now that I’m finally learning to FMQ, I’m also learning to let go of perfection in that area–because otherwise no FMQ would get done and I’d drive myself nuts ripping out quilting. I’ve made my peace (ha, I wrote “piece” just now and had to correct it) with irregular quilting. And I love it!! I think it is splendid Yvonne that you have taken the time to face this issue. Even greater that you are challenging yourself to find the correct path that will make you the happiest. It took me quite awhile to reach the point that I am at; which is…quilting is relaxing and fun, plus such a magnificent therapy for my brain injury (quilting has strengthened my mind so much over the years it truly is amazing). Although, I am not a perfectionist by any means, a pattern will dare me to take on the challenge of matching seams perfectly and it is a pleasant change for a short time, but I happily return to my free and easy going method. Thank You for sharing this post about yourself, I found it to be interesting and I truly enjoy learning about the individuals that write the blogs I read or the patterns that I use. Looking forward to seeing more of Beacon. Sometimes, good enough works for me, but other times, I need it to be “perfect” — just depends on what I’m doing and how much in love I am with the project. Good for you on two counts: for letting yourself be less than perfect much of the time and for aiming at perfection when it really matters. I think we can all relate to this post, Yvonne. I tend to let that seam that is “not quite lined up” slide. But if I know it will come under closer scrutiny, I will attempt to make it right…. At least one more time. Solids are especially unforgiving. And with those high contrast choices you have in Beacon, especially so. Good for you on wanting to achieve the best points you can! Hmm, lots of thoughts here. Stay away from Angela Walters–her mantra “close enough is good enough” might not work for you…I’m trying very hard to let her mantra be more a part of my own, because I am, hook, line and sinker (emphasis on sinker) a perfectionist, which can sink a person’s creative soul. Also, if there are those who are putting their (snotty) noses on your quilt to see where the 1/16″ off occurs, they can, well, take a hike is a polite way of putting it. Overall impression. Does it make me happy? Am I having that bursting bubble of excitement when I’m making (be it creating, cutting, piecing, quilting) the piece? That is what is important, that and adding beauty to this world, and creating something with love and joy, not horrors of being imprecise. If you want perfect quilting, you need to do it by computer; humans aren’t perfect. If we worry too much about imperfection, as Janine said, (FMQ) or whatever part of the process, would not happen. I live this quandary; it took me weeks to make a stitch on quilting my daughter’s quilt for fear of not getting it right. Let go, face the fear, and create something beautiful! “Finished is better than perfect”. A great motto. Angela again. Bottom line: do what makes you happy. I love that you gave yourself permission to be a perfectionist in this case!! As a detail oriented quasi-perfectionist myself (ok, toss the quasi out the window), I’m often trying to give myself permission to let it go, and let something be “good enough”, since nothing is perfect. My driving inclination, though is to rip and do over until I get it perfect. I’m trying to stifle that voice a bit to allow my quilting to be more relaxed and… well, timely. It never occurred to me that I could give myself permission to BE perfectionist!!! So thank you! I’m excited to see this beacon quilt in completion, and I’m glad you are allowing yourself the time to do it the way you want to do it. I’m sure you won’t regret it! It’s always lovely to get to hear about process, not just technique but thoughts, reactions and reflections. Thanks for taking us on this ride with you, Y! This quilt looks like some intense piecing. I love that you shared that process with us. Darn it, you conquer that quilt! Yesterday, I slept in, made a yummy fish curry and started a few new projects – loads of satisfaction and joy! My line of work seeks perfection too, to a degree. We are always restricted by real-world time and budget constraints. I (and a team of others) can read and reread and reread and still miss an error. There is a point at which continuing becomes futile. Until that point, we do our best. If it bugs you and you think you can fix it, like the 1/16 inch thing, I say do it. I totally understand the desire to find the balance between perfection and good enough. And you are right. Some quilts need more perfection than others. Great job!